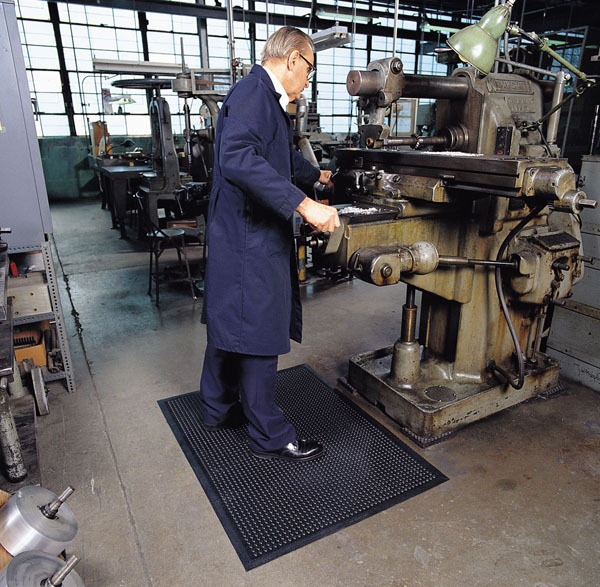 Constructed of a unique solid rubber design, Comfort-Eze bubble topped mats that stimulates worker comfort and promotes product longevity. The bubble top and offset bubble bottom allow for air circulation enhancing the ergonomic effects. Recommended uses include packaging stations, quality inspection areas, shipping areas, and other light to medium duty dry areas. 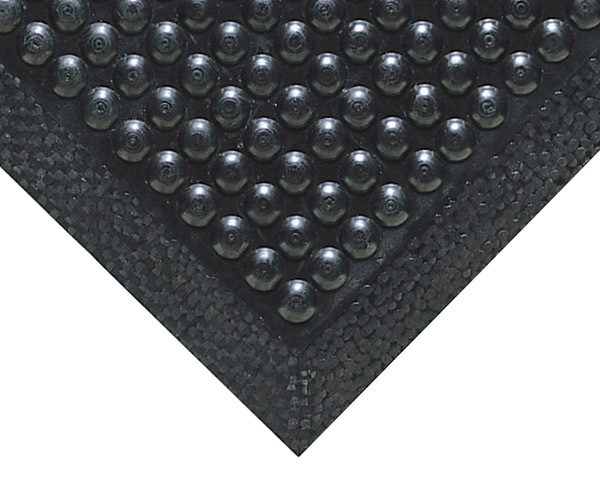 Extremely long-lasting rubber compound molded into a superbly comfortable bubble design. 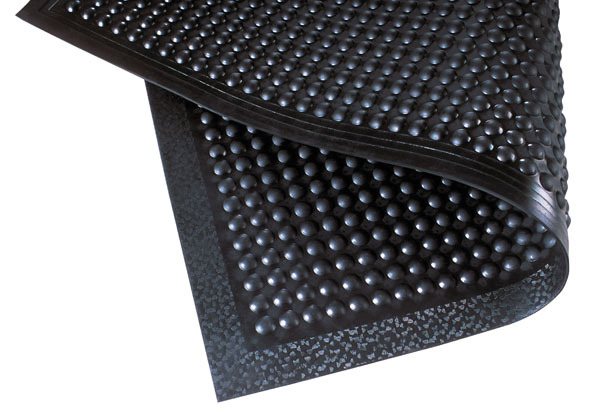 For maximum comfort, the bubbles are molded on an offset on the top and bottom of the mat to maximize flex and create air flow, all to enhance the ergonomic benefit. Dry applications where there is a good deal of pivoting required.